FRTB (or Minimal Capital Requirements for Market Risk, as BCBS would like us to know it now that it’s past the review stage, although I will keep using FRTB) has clearly non trivial impact on how a regulated organization will handle its Market Risk. 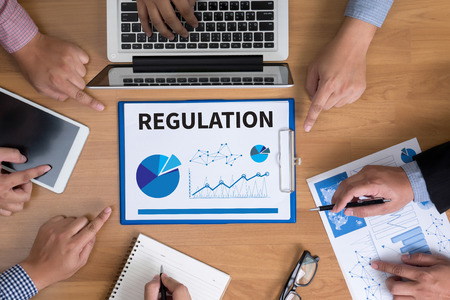 But the F in the FRTB stands for “Fundamental”, and the impact of the new regulation truly is fundamental – in some aspects more so than the previous Basel 3 regulations. That is because FRTB impacts more than just Market Risk. It is more than just simply a new way of calculating the Market Risk Capital – it has considerable firm-wide impacts. It is widely expected that for organizations with substantial trading portfolios, FRTB will result in increases in capital. 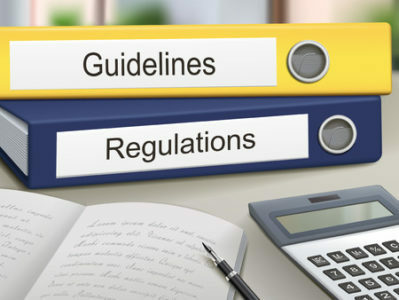 As a first step, all organisations will likely conduct their own Quantitative Impact Study, using the proposed regulation to estimate both its Standard Approach capital, and Internal Model Approach capital (if applicable). A more detailed analysis of the various business lines will follow from that. While I believe that most organizations will carry out these first steps, it’s also likely that most will also end there. Unfortunately, this would mean missing on some of the fundamental impacts of the regulation. For example, if an organization is on IMA currently, the default assumptions is likely to be that it would require IMA going into the future. I believe this is not a decision that should be taken this lightly and almost automatically. Firstly, the ability to execute on IMA is going to cost substantially more under the new approach. Implementing and running the new system in a complex institution can easily run hundreds of millions of pounds for implementation and tens of millions of pounds in annual running costs. Assuming expected return on capital in low teens (common these days), the IMA approach must then – year in, year out – save hundreds of millions of pounds in capital (which means billions in RWA), compared to SA (which, as we remember, must be implemented regardless) just to pay for its operating costs. And remember, some of the most complex parts of the business (securitization), which often benefited most from the internal model, will have to be on SA regardless. Of course, implementing complicated IMA system may also increases the overall complexity of the institution, potentially even increasing operational capital charges. Secondly, the capital system is now much more dynamic – a desk with IMA approval is not guaranteed to have IMA capital charge at all times. For a sufficiently complex, global institution, it’s entirely possible that it will have an IMA desk on SA capital charges at any given time, for purely statistical reasons (assuming 99th percentile test, 70 desks is the odds-on number. Give it a few hundred desks, and you have a virtual certainty). The PnL explains can fail much more easily if the drivers of non-explainable VaRs (in effect NMRF) are booked across different desks, and are not allowed to be offset, possibly requiring substantial book reorganizations (which is always a painful political process, even more so with the FRTB requirement that a desk can have only one head trader) to optimise NMRFs. Hedging strategies become much more important – and this is even before considering that bank may have desks in different jurisdictions, regulated by different interpretations of FRTB. The more complex a desk is (with more cross-gamma), and the more NMRFs it has, the higher likelihood it has of failing PnL tests. That is assuming no system and data glitches across the supporting IT systems, because we all know it never happens. Worse yet, a complex desk is most likely to fail the PnL tests in a period of extended stress, when the NMRFs and cross-gamma contribute more to the overall PnL volatility than under calm market conditions. Hence complex desks are much more likely to attract SA treatment exactly at the worst of times. A simple message here is “Complexity costs capital”. Businesses cannot consider only the immediate impact of the new capital calculations, even if it is the one most visible now. They need to take in the whole picture, and analyse the impacts across the whole cycle, together with the operational costs to support different models. It is possible that when considering this, some institutions would be better off scaling down some of their operations and using SA capital calculations only. For other institutions, removing some business lines (or moving them onto SA), and consolidating desks may be a sufficient measure. I believe the difference between successful and failed players under the new regime will depend on the ability to see the whole, strategic, picture, which includes cooperation across multiple departments in the bank, as opposed to looking at the parts in isolation. It is also likely that the winners in the new regime will focus energy on a number of business lines that make the most sense, as opposed to try to cover all the possible niches in the market. Few, if any participants in the markets will be able to afford the costs of the complexity across the whole spectrum and still be able to generate sufficient returns. This post was first published at Vlad Ender’s LinkedIn page, and included here with some edits.